Nordstrom announced in early February that the department store would no longer sell Ivanka Trump’s clothing line due to declining sales. Donald Trump, a cow patty, used his platform (Twitter) as the most powerful man in the world (American president) to attack Nordstrom over his bb girl’s hurt feelings. 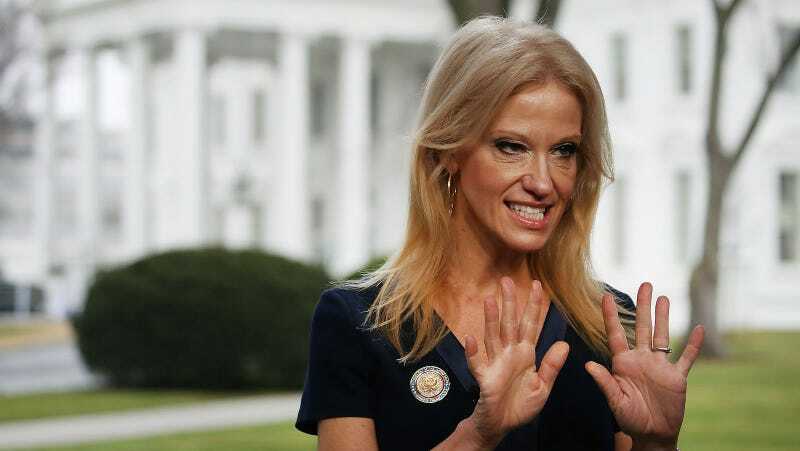 Enter Kellyanne Conway.